Schaumburg, IL – March 19, 2019 – After successfully introducing the industry’s first true color standard for beverage can design at last year’s show, INX International Ink Co. (booth 11106) will again showcase the INX Color Catalog when the Craft Brewers Conference & BrewExpo America reconvenes, April 9-11 at the Colorado Convention Center in Denver. In less than a year, nearly 100 catalogs are now in the market. Brand owners have improved their efficiencies by reducing their lead times and getting can labels to the market quicker. This comes on the heels of news confirming increased competition in the marketplace. In 2017, overall beer volume sales slipped 1 percent but craft brewer sales volume rose 5 percent. This follows a 6.2 percent increase the prior year, and craft brewer sales now account for 12.7 percent of the total U.S. beer market. 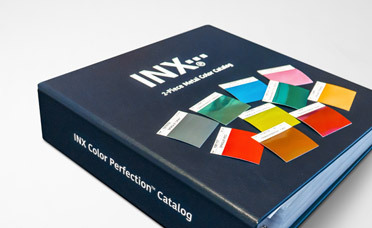 “We are impressed that brand owners recognized what the INX Color Catalog could do for them. We think others will continue the trend after they’ve had a chance to learn more about it at this year’s show,” said Renee Schouten, INX Director of Marketing, who has received a favorable amount of feedback from craft brewers.